Pumpkins and their carved up jack-o-lantern friends are the unofficial mascots of Halloween, so it only makes sense to be eating all things pumpkin all holiday long. Halloween is just around the corner and it’s officially time to start planning. Once you’ve got a costume in order, festive food should be your main focus. Skip the candy overload this October 31 and embrace fall flavors and the Halloween spirit with an incredible pumpkin cake. You can reserve pumpkin pie for Thanksgiving, because we have 14 pumpkin cakes for you to whip up. 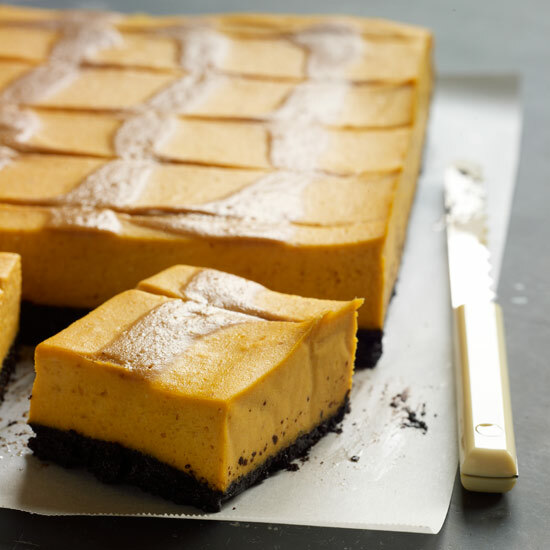 With recipes like pumpkin layer cake with mascarpone frosting and marbled pumpkin cheesecake with brownie crust, you’ll be wishing every day was Halloween. And the crazy-delicious options don’t stop there. We’re serving up everything from mini spiced pumpkin cakes to toasted hazelnut pumpkin cake with espresso icing to Mexican chocolate chip-pumpkin seed cake. Our mouths are watering just thinking about it. Happy Halloween! Not only do these adorable little spice cakes use pumpkin spice mix to bring the taste of fall to your mouth, but they also look like tiny pumpkins when they're covered with sweet orange glaze and topped with a piece of dark licorice, which is twisted to look like a stem. In our opinion, when you have double the batter, you have double the fun. 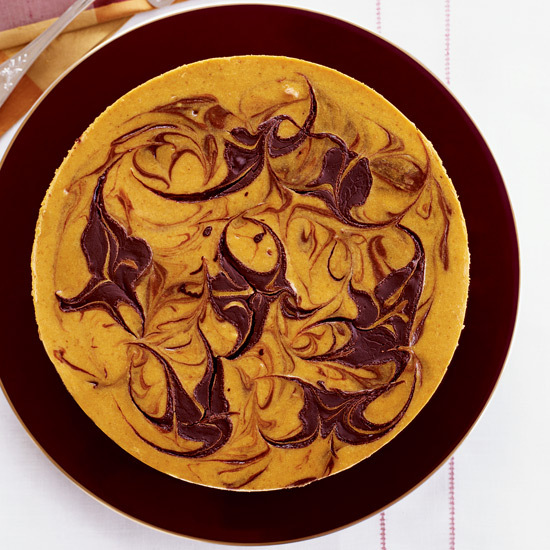 With rich chocolate swirls adorning the vibrant orange layer of pumpkin, this festive, velvety cheesecake brings out the black and orange color theme Halloween is best known for. Plus, who can honestly resist a brownie crust? In this fun variation on traditional pumpkin pie, which we think of as a Thanksgiving dessert, this Halloween pumpkin cake spiced with ginger, cinnamon, nutmeg and cloves gets frosted with a slightly tangy, super-caramelly frosting. It's delicious served cold or at room temperature and we could finish one in a single sitting. 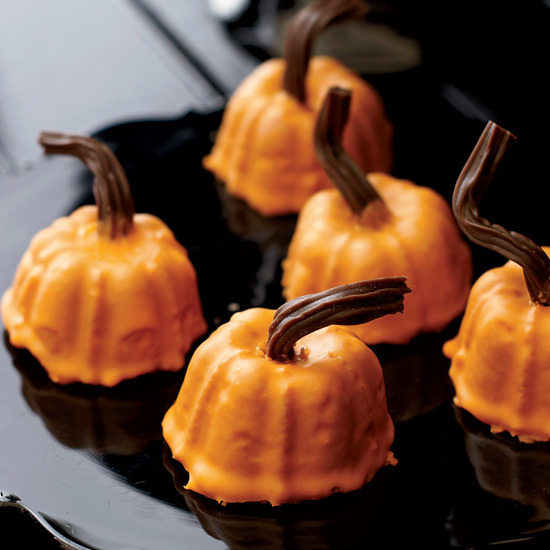 We love the bright orange hue of this pumpkin cheesecake, which is a perfect choice for your Halloween party. While the original recipe author's version uses the tangy, pungent, soft-ripened Italian cheese Robiolina and house-made gingersnaps, our tasty adaptation can easily be crafted at home with store-bought cream cheese and boxed cookies. 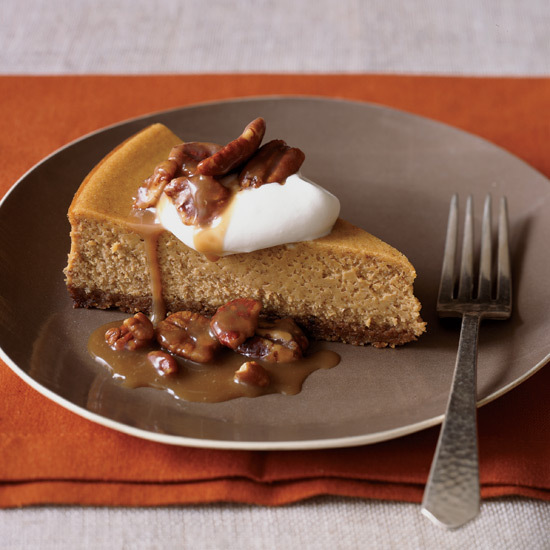 Skip the candy overload this October 31 and embrace fall flavors instead. 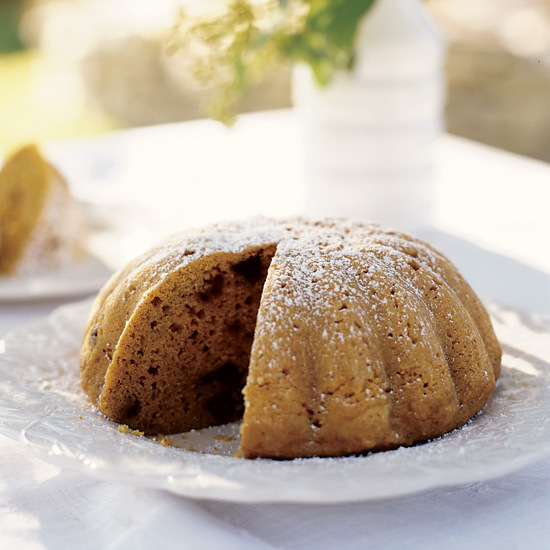 A great way to do that is with a pumpkin cake and we’ve got 14 of them for you to choose from. These decadent chocolate-crusted bars are topped with a luscious homemade caramel that sinks into the pumpkin cheesecake batter during baking. 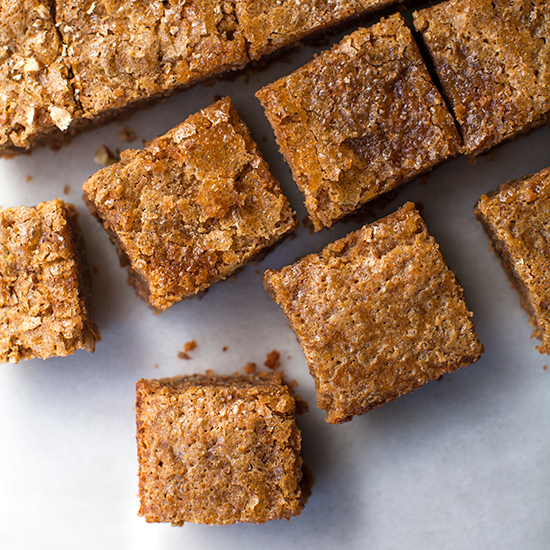 Since you can eat these pumpkin bars with your hands, it makes them the optimal Halloween party or trick-or-treat dessert: portable, mess-free and delicious. They really are the whole package. 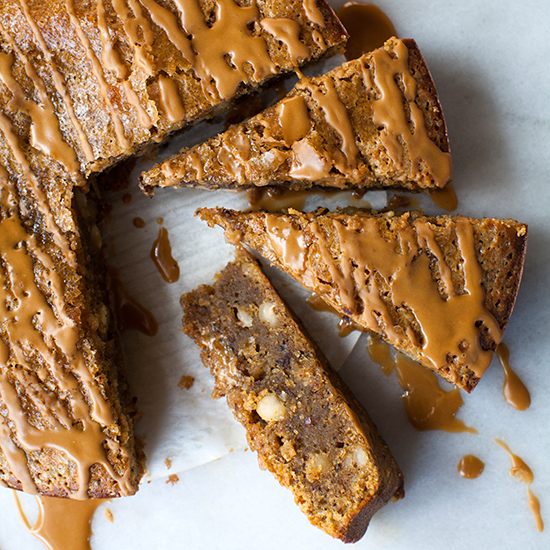 This cardamom scented, nutty pumpkin cake is baked with ground and chopped hazelnuts, while its crispy exterior gets drizzled with a deliciously-fun espresso icing. A slice of this cake can make for a nice treat with coffee on Halloween morning (we’re making that a thing) or served as a special dessert at your Halloween party. 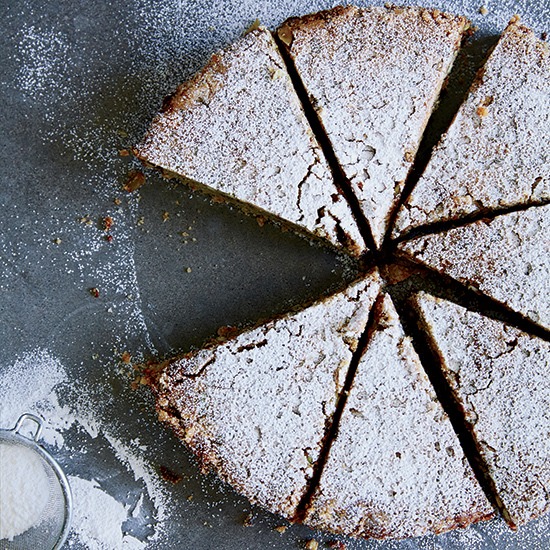 This maple-scented pumpkin cake is made with spelt flour and both freshly ground and chopped pecans; the batter is then sprinkled with demerara sugar just before baking for a wonderfully crispy top. It might just be the best portable treat to take with you while you trick-or-treat—because everyone needs a snack between candy bars. This pumpkin-cheesecake pie started its life as a petit four at New York City's Gotham Bar and Grill. 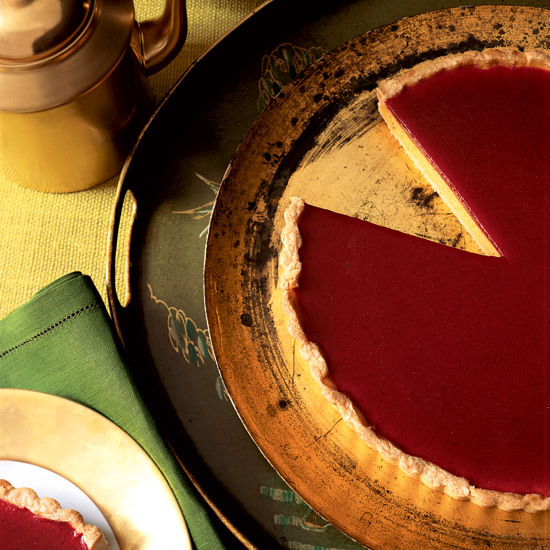 With its creamy pumpkin filling and ruby-red cranberry gelée topping, it clearly deserved a spot on the menu. The combination of pumpkin and cranberries that resemble blood makes it an ideal Halloween ending. This Halloween, become acquainted with the ultimate mashup: pumpkin pie meets tiramisù. 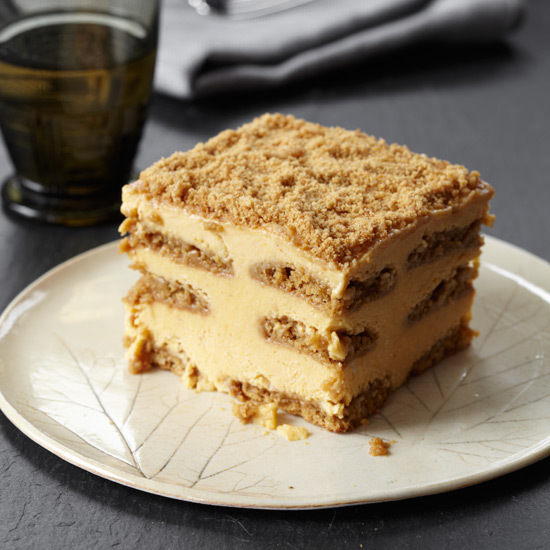 With layers of pumpkin-mascarpone custard and gingersnaps brushed with Calvados syrup, this dessert is beyond mind-blowing. In the freezer, the flavors and textures meld to form a deliciously creamy dessert that you’re bound to fall in love with. 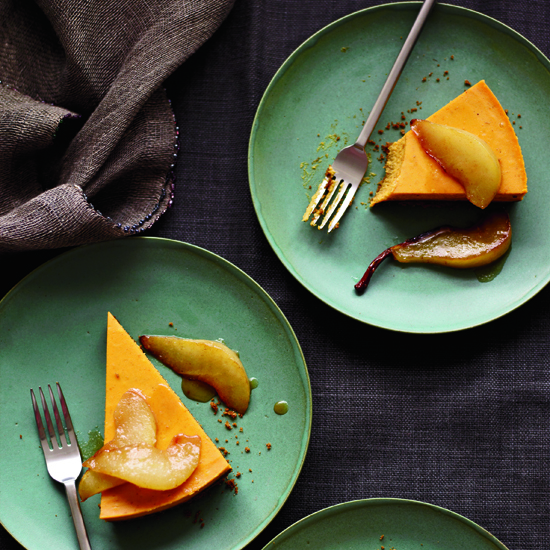 Jeremy Silansky borrowed this recipe from American Flatbread pastry chef Hannah Yerks, who developed this fluffy cheesecake using sugar pumpkins grown in the restaurant's garden and stored in a root cellar (buttercup and kabocha squash work just as well). Fresh cream cheese, which has a light, creamy texture, gives this cheesecake its airy, mousselike texture.